Perth-based mechanical engineer Darren Lomman is working to stop plastic waste ending up in our oceans by converting it into 3D printer filament. In December 2016, Darren Lomman was watching television in his lounge room when he saw an advertisement that changed the course of his career. The ad was for reusable water bottles and included an alarming statistic: by the end of 2050, there will be more plastic than fish in our oceans. “My first reaction was that it sounded far-fetched,” he said. It was that initial curiosity that led Lomman to discover an uncomfortable truth about the state of plastic recycling in Australia. It was his knack for problem solving, however, that prompted him to make a difference. 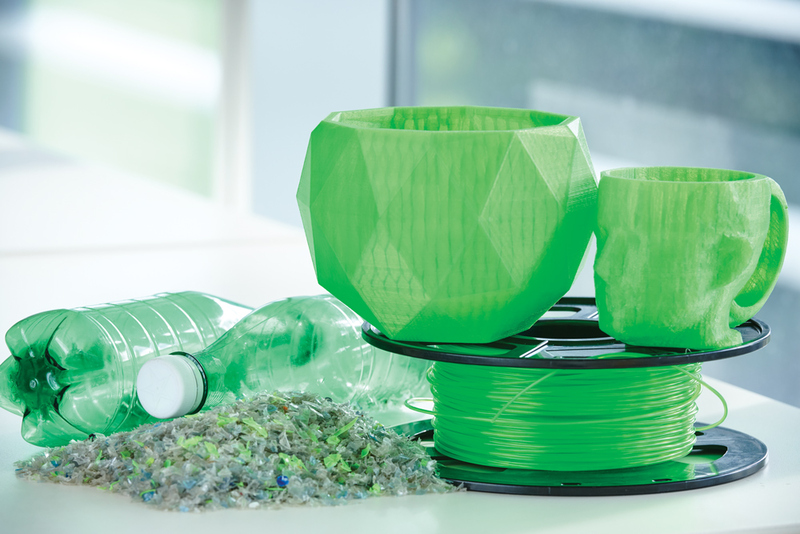 After six months of research, Lomman launched GreenBatch, a social enterprise that is building a system to reprocess plastic bottles into 3D printer filament. 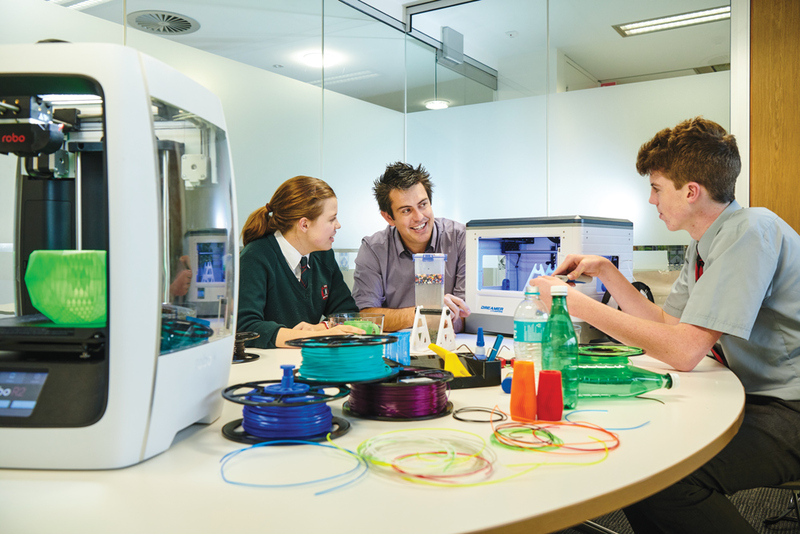 The plastic will be collected by a broad network of secondary schools in Western Australia and the filament will be returned to the schools for their 3D printing projects. Backed by institutions such as the University of Western Australia, GreenBatch is also receiving assistance from industry giants such as WorleyParsons, and Lomman is fast building a strong community of supporters who share his passion and purpose. 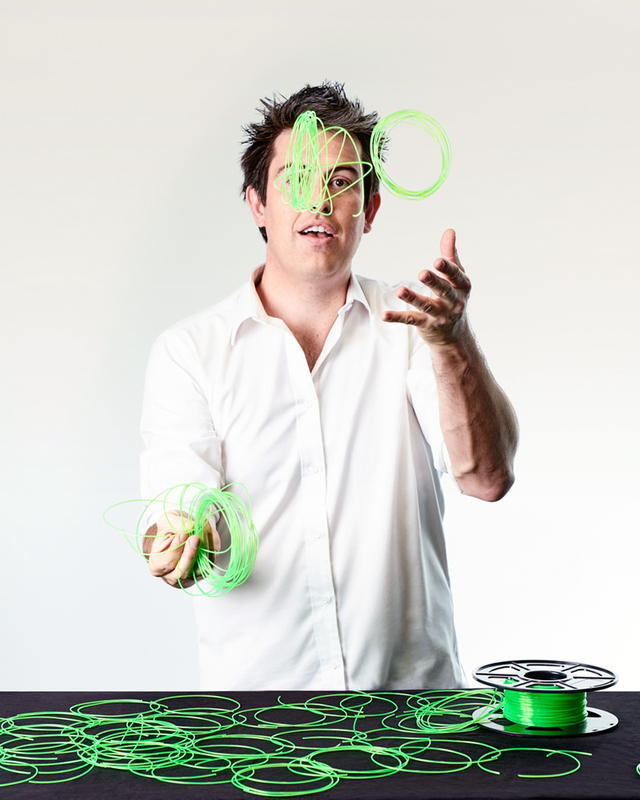 At the age of 34, Lomman might be regarded as a veteran of the Australian start-up scene. While a 19-year-old mechanical engineering student at the University of Western Australia, a chance meeting with a fellow motorcycle enthusiast prompted him to launch his first enterprise, Dreamfit, a not-for-profit organisation that develops innovative equipment to enhance the mobility of people with disabilities. During his 15 years as CEO, Lomman grew the enterprise from humble beginnings in his backyard shed to a 1500 m² workshop and helped more than 10,000 people with disabilities to fulfil their dreams. “It was never intended to be a big business or enterprise,” said Lomman, who was awarded 2007 WA Young Australian of the Year for his work with Dreamfit. In May 2015, Dreamfit was acquired by Ability Centre, which provides services and support for people with disabilities in Western Australia. Lomman stayed on as Chief of Design and Innovation before becoming restless. “Dreamfit had grown so big that it didn’t need me anymore, so I decided to unclip my entrepreneurial wings,” he said. Lomman spent the next six months exploring new ideas. “I had a blank canvas and could paint my own picture,” he said. He wanted his next venture to involve 3D printing, but it was only after seeing that TV advertisement about plastic in our oceans that the picture began to take shape. Like most Australians, Lomman has always separated his recyclable rubbish. However, while developing his idea for GreenBatch, he struggled to locate a plastic recycling plant in his state. He went on a tour of a material recovery facility, where further separation of materials occurs, and asked where they would be sent for recycling. He was met with a blank stare. “That’s when I found out the truth behind our recycling industry,” Lomman said. Lomman cast the net beyond his home state in search of an Australian PET (polyethylene terephthalate) recycling plant. He could only find a small facility in New South Wales that recycled just a portion of the state’s plastics. “Not a single bottle that I had put into a recycling bin has ever been recycled in Australia,” Lomman said. Frustration with the state of recycling — and a passion for 3D printing — helped foster Lomman’s vision for GreenBatch. His first idea was to design a desktop machine that would shred and melt plastic bottles to create filament; however, it proved too expensive and Lomman knew that sales would not cover his costs. It was time to think big; rather than desktop machines, he decided to build an industrial-scale recycling plant. The original plan was to produce 300 kg of filament a week from recycled plastic. “As I’ve got more supporters onboard, we’re now scaling the plant to 300 kg [of filament] an hour,” Lomman said. Lomman demonstrating the 3D-printing process to students. At this scale, Lomman predicts the plant will recycle approximately 131 million plastic bottles a year. Financial investment has been vital to getting GreenBatch off the ground, but rather than looking to the world of venture capital, Lomman chose to ask the community for help. “I did not want to take commercial investors onboard with this,” he said. Lomman launched a crowdfunding campaign in October last year, with the aim of raising $50,000. It ran for four weeks and raised $70,000. “It was one of the biggest crowdfunding campaigns to come out of WA,” he said. If Lomman is successful with a recent grant application, he might soon be able to draw a salary from his enterprise. 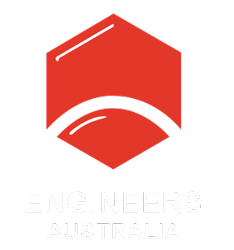 WorleyParsons is contributing pro bono support for the plant design and UWA has provided Lomman with office space to work from, access to its network, plus eight student interns to assist him. It has also provided the land on which the facility will be built. The layout of the Greenbatch recycling plant. Kent Anderson, Deputy Vice-Chancellor of UWA, describes the university’s involvement with GreenBatch as an “anchor” for the enterprise. “Getting your first big partner is essential because it enables you to get your second,” he said. Secondary schools have also been willing partners and GreenBatch is currently working with 50 schools across the state. Lomman hopes to increase the number to 300 next year. Hannah Fay, science teacher at Santa Maria College, a pilot school in the GreenBatch program, said students are learning vital lessons from their involvement. “From an education perspective, GreenBatch not only shows students the importance of considering their environmental impact, but it also encourages them to look beyond the standard career and into more innovative roles,” she said. 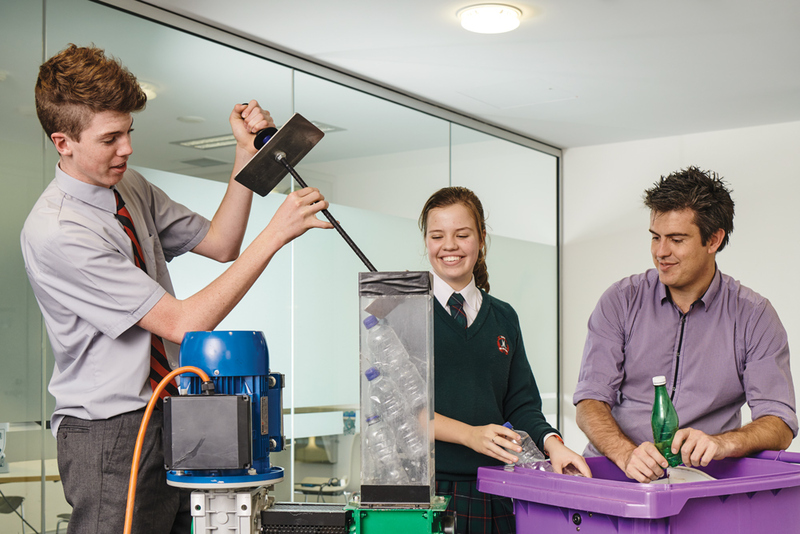 GreenBatch is working with 50 secondary schools from across Western Australia. The GreenBatch recycling facility is predicted to be up and running by July 2019. Lomman said he is overwhelmed by the support he has received from the community. “Plenty of people say that this should be the responsibility of government,” he said. Susan Kreemer Pickford, General Manager, WA Engineers Australia, and a member of the GreenBatch Corporate Advisory Board, met Lomman a decade ago when he was still involved with Dreamfit. She believes he is a natural leader. “He has the self-belief to forge a mission that people will follow,” she said. With the GreenBatch recycling facility still at design stage, Lomman is focused on building his network of supporters. “It takes pigheaded determination to fight through all the naysayers and the people who don’t respond because it’s not on their radar,” he said. Darren Lomman is one of create‘s Most Innovative Engineers for 2018. Are you an innovative engineer or know someone who is? Register your interest to nominate for the class of 2019 here.